Simple watch chain features belt hook and watch fob attachment. 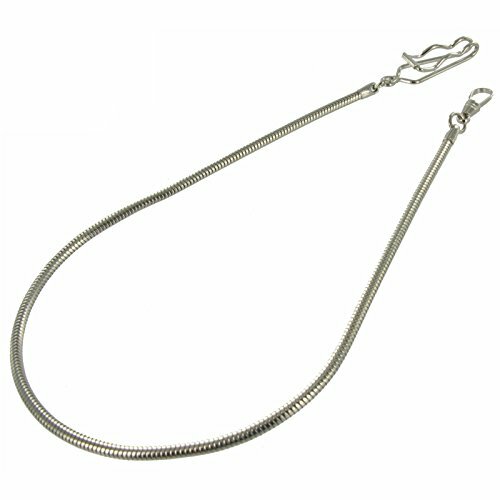 Chain constructed from round snake link and finished in a silver tone. Sleek design and fluid chain movement allow your pocket watch to be conveniently placed in your pocket while chain is secured to your belt or your pants.